That’s Jack Kerouac writing in 1959 for Holiday magazine, in an essay titled “And This Is the Beat Night Life of New York.” What jumps out at you is the swirl of motion, the men and women defined by a few darting strokes. 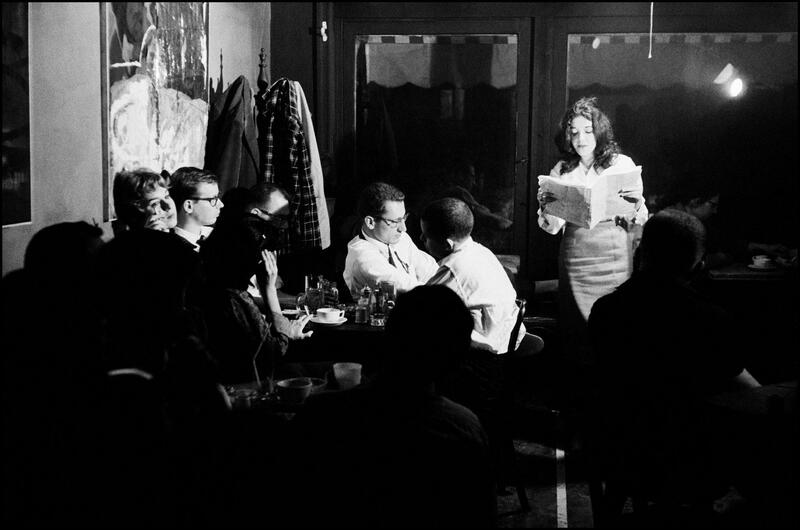 What doesn’t jump out, but is just as present, is the artful construction of the Beat Generation in the public consciousness. These bohemians put a lot of effort into explaining themselves for the mainstream they shunned. Burt Glinn, the Magnum photographer who took the pictures accompanying Kerouac’s essay, was one of many midwives in this creative process. Glinn, who died in 2008, shot the Beats in their natural habitats in New York and San Francisco from 1957 — the year Kerouac published “On the Road” — to 1960, the year after the sitcom “The Many Loves of Dobie Gillis” and its beatnik caricature Maynard G. Krebs put bongo bohemia into suburban living rooms. New York was a smaller city then, and writers and jazz musicians and painters and fresh arrivals from anywhere all closed the night in the same Village bars or Times Square hamburger joints. 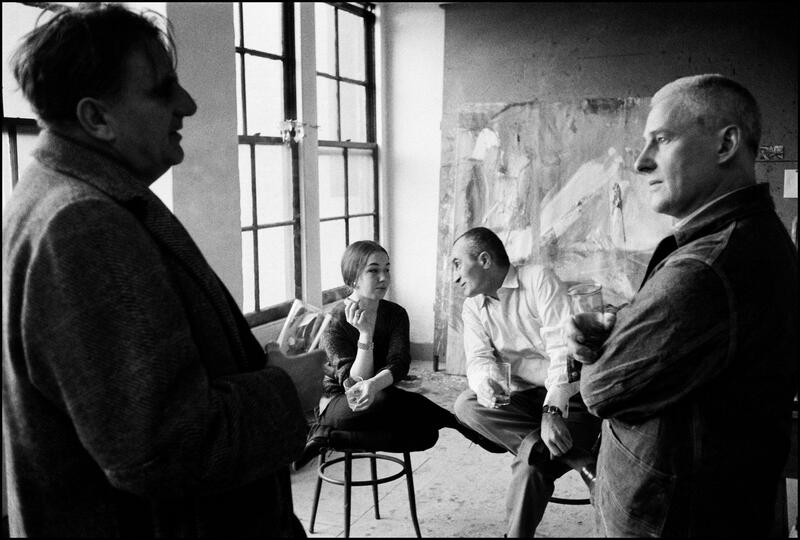 A single table at the Five Spot jazz club, as captured in a well-known shot by Glinn, might seat the painters Helen Frankenthaler and Larry Rivers, the sculptors David Smith and Anita Huffington and the poets Kenneth Koch and Frank O’Hara. In Glinn’s images, as in others, the Beats lived mostly in evocative black and white — aloof, interior, maybe a little buzzed. They’re stolen slices of Kerouac’s kinetics. Then a few years ago, Glinn’s widow, Elena Prohaska Glinn, was going through slides for a retrospective of his work and showed the publishers a trove of color images — warmer, less distant, more casual, less go-cat-go, more open to visitors. And as Kerouac wrote, nobody gets hurt. Blonk.